An energy generation and distribution company enlisted PMAlliance to manage the development and implementation of a contingency system for a high-profile oil pipeline terminal. 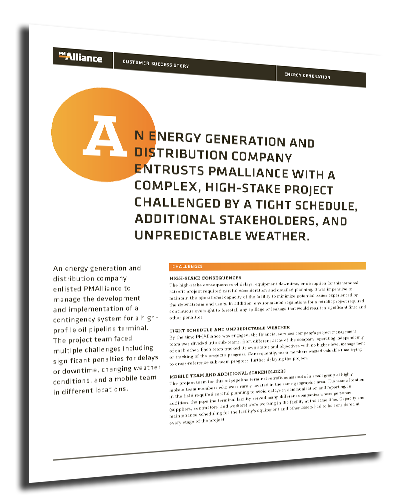 The project team faced multiple challenges including significant penalties for delays or downtime, changing weather conditions, and a mobile team in different locations. Learn how PMAlliance's Duration-Driven Methodology helped deliver this project on time and within budget. Download the whitepaper by filling out the form. Copyright © PMAlliance. All rights reserved.